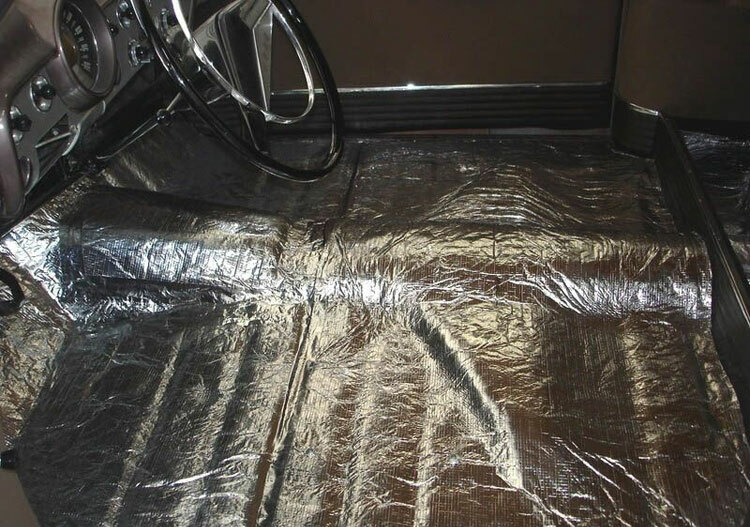 Satellite dishes are the latest end products being proposed for nonwovens based on recycled carbon fibre composites ? employing the same technology that is used to make various components for the BMW i Series electric vehicle programmes. The German Aerospace Center (DLR), working with the? Helmholtz Association, has developed a new composite winding technology to produce the first ever fully manufactured modular and free shapeable high-pressure CNG storage vessel which? offers 30% more available volume. Teijin company Toho Tenax has released further details of its new process for the production of highly efficient thermoset carbon fibre composites it is calling Tenax Part via Preform (PvP). The Audi 6 now features an infotainment carrier of hybrid design, made from a continuous fibre-reinforced polyamide composite and a polyamide 6 overmoulding material. Chomarat has developed a carbon fibre composite roof panel for the Roadster made by Germany?s Roding Automobile. An average car has over 20,000 parts. The new 3D-printed Strati ? printed by Local Motors during the International Manufacturing Technology Show (IMTS) in Chicago last week ? has just 40. Sereebo ? a rather fanciful acronym for 'Save the Earth, Revolutionary and Evolutionary Carbon' ? 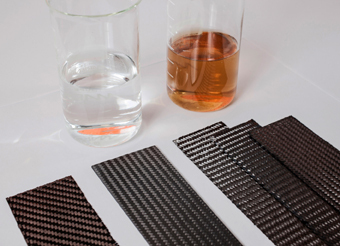 is the brand name of the new technology Teijin is bringing closer to commercial use in the high-volume production of carbon fibre reinforced thermoplastic (CFRP) composites. Carbon-fibre composite electric flywheel systems are to be fitted on the next 500 buses to be supplied to the London transport provider Go-Ahead, in a bid to reduce the city?s emissions. An oil sump moulded from composites of DuPont Zytel nylon resin reinforced with glass fibre is helping Swedish commercial vehicle manufacturer Scania meet new challenges in respect of noise, emissions and weight. Car manufacturer Mitsubishi Rayon has agreed to purchase part of Wethje Holding, a German company which manufactures carbon fibre reinforced plastics (CFRP), in a move to keep up with its industry competitors. Car manufacturer Audi will introduce new, lightweight suspension springs made of glass fibre-reinforced polymer (GFRP) in an upper mid-size model before the end of the year. At the forthcoming InnoTrans trade fair for the transport technology industry which takes place in Berlin from September 23-26, Voith will introduce a lateral energy absorber for trains made from glass fibre composites and aluminum. The Human Power team at Delft and Amsterdam University are looking to break the world speed cycling record of 133.78 km/h set by their member Sebastiaan Bowier last year with the composites-intensive VeloX3 recumbent. SGL Group has started the production of thermoplastic-compatible carbon fibres at its Muir of Ord site in Scotland. It?s not often that a bio-sourced composite outperforms all the affordable competition in a structural application but this is the case with FibriCard. The Aachen Center for Integrative Lightweight Production (AZL) in Germany is expanding its strategic partnership with automotive manufacturer Toyota.? Composites take a back seat to new high-strength steel and aluminum alloys in Ford?s latest lightweight concept vehicle, the F-150. Trucks with biodegradable cabins could soon be appearing on European roads as the result of a new research project, which aims to replace ABS-injected cabin parts with composites derived from renewable raw materials. With a further investment of $200 million on top of the $100 million announced only in April this year, the BMW/SGL joint venture in Moses Lake, Washington, USA, is intending to rapidly become the world?s largest carbon fibre manufacturing plant by early 2015. PUEBLA ? The front end and door systems of the new Volkswagen Golf ? to be launched next year ? will include inserts made of 50 per cent polypropylene and 50 per cent flax composites, supplied by Faurecia Automotive Exteriors in its first production contract in Mexico. Magna International reports that its Exteriors business has been awarded new contracts to supply painted automotive body panels made from carbon fibre composites for two 2016 model-year vehicles. The underbody of the new Porsche 918 Spyder ? winner of the JEC 2014 Innovation Award in the Automotive category ? is characterised by a dynamic combination of composite materials and construction. At last week?s JEC Composites show in Paris, Formax announced the opening of a new automotive production unit at its headquarters in Leicester, UK. The Adler Group, based in Ottaviano, Italy, is to employ carbon fibre composite prepreg material from TenCate Advanced Composites in building the chassis of the Alfa Romeo 4C. Magna International ? the leading Tier 1 supplier to the automotive industry which is anticipating 2014 sales of between $33-35 billion ? is getting pretty excited about a new kind of bioplastic. Union Binding Company, which is based in Colico, Italy and Seattle, USA, teamed up with the Lamborghini Advanced Composite Structures Laboratory to develop a new binding technology for snowboards. Along with innovations such as instrument panels with retractable screens, a gesture-activated glove box and noise-cancelling speakers in the exhaust system, Faurecia is displaying a range of developments in automotive composites at the North American International Auto Show (NAIAS) which started on January 13th and runs until the 26th in Detroit, Michigan. Two Suzuki S1600 rally cars with custom designed light weight composite body kits secured winner and runner up positions in the 2013 Spanish Rally Championship. DuPont has appointed a new global automotive technology director charged with bringing the breadth of the company?s advanced materials and renewably-sourced materials and fuels to the auto industry as it continues to develop low emission, fuel efficient vehicles that are safe and affordable. MAI Recycling is one of 11 separate large-scale projects currently being undertaken as part of Mai Carbon and brings together the companies Audi, BMW, SGL Carbon, Neenah-Gessner, Siemens and Voith Composites with the Fraunhofer Institute for Building Physics, and the BIFA environmental institute. The Saxon Textile Research Institute (STFI) held its 11th re4tex recycling conference in December, after claiming the 2013 German Resource Efficiency Award for its CarbonWasteCycle research project. The latest Jaguar F-type convertible features the first fully bio-based floor panel. The FibriCard panel supplied by EcoTechnilin/CabAuto is a lightweight bio-based composite comprising FibriPreg flax layers and a honeycomb paper core in a sandwich structure. The Biofore concept car ? jointly developed by UPM and Helsinki Metropolia University of Applied Sciences ? is to premiere at the 84th Geneva International Motor Show which takes place from March 6-16 2014. Faurecia is poised to become the first automotive supplier to mass produce a 100% bio-based plastic with hemp-based fibres and a natural-substance matrix to replace injection-moulded polypropylene. Fancy a zero emissions spin? Ecospin?s Raptor generated considerable interest at last week?s Composites Engineering show at the NEC in Birmingham, UK.The Electric Personal Vehicle (EPV) was developed by a team of engineers from the automotive and electronic industries to meet a real market demand, primarily from the security patrol market. A new system called Surface RTM has been developed by Zoltek and its partners KraussMaffei, Henkel, Chomarat and Ruhl, for the production of Class A carbon fibre exterior panels. The BMW i3 composites-rich electric car now has an officially-confirmed environmental footprint.The Declaration of Validation issued in accordance with ISO 14040/14044 certification by T?V S?D confirms that its greenhouse potential is between 30-50% less than conventional cars of its size and performance. US researchers are proposing to develop 4D materials that can exhibit behaviour that changes over time, adapting to external stimuli ? with the help of an $855,000 grant from the US Army Research Office.